I think the answer would be no. 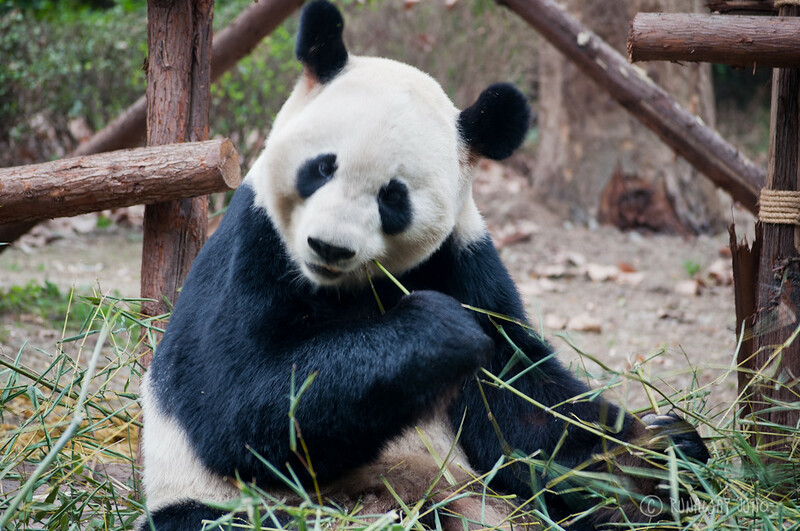 No, I’ve never seen a panda bear in person before, I believe. But feel like I know them really well, like my pet dog. Must be because of their worldwide fame. 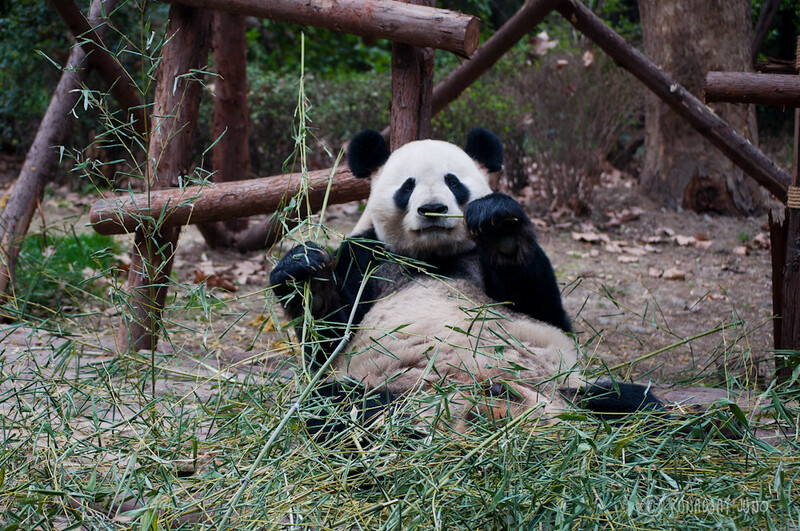 Panda bears are one of the cutest animals, no doubt. 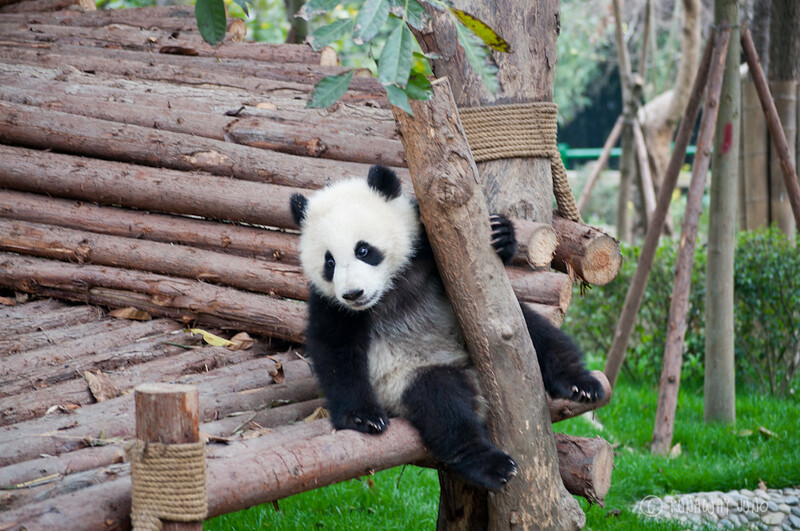 Babies are cute, no matter what: kittens, puppies, piglets, chicks… but fully-grown pandas are still pretty adorable as much as the baby ones. 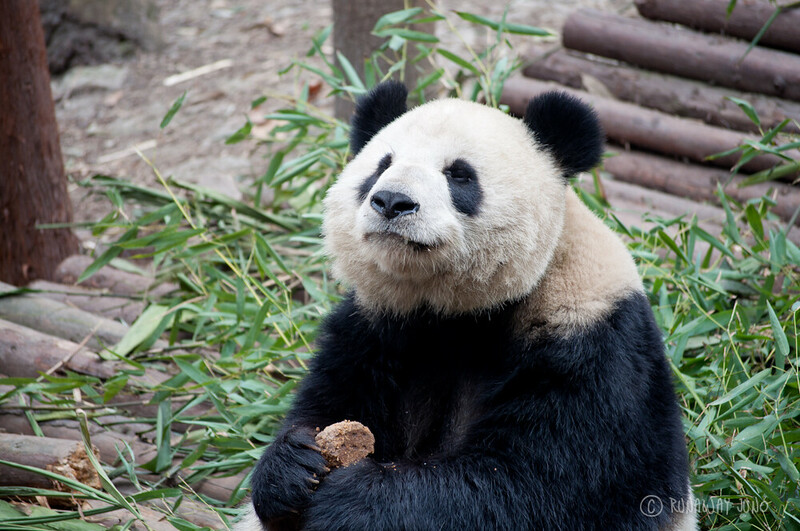 Panda bear, literally meaning the big bear cat 大熊猫 in Chinese, is such an interesting creature. 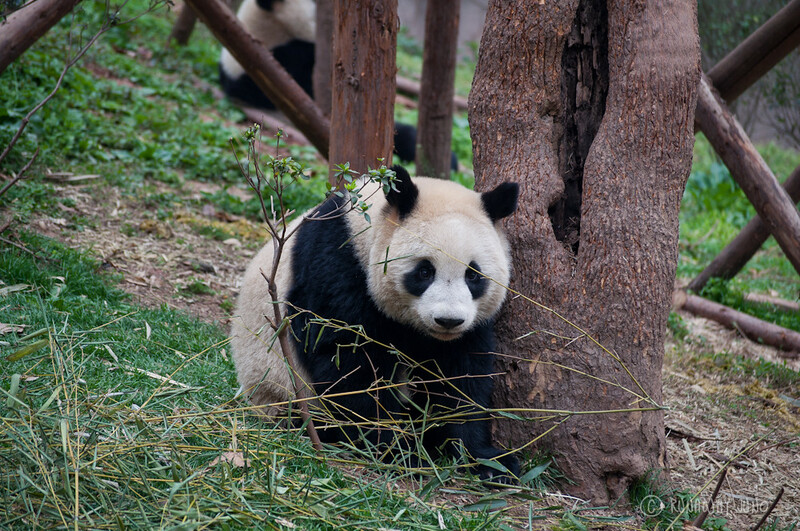 The panda is a conservation reliant endangered species. But sadly, you can guess why when you are watching their behavior. They don’t care about reproduce; people have to force them to mate, and they don’t have much energy to do anything. 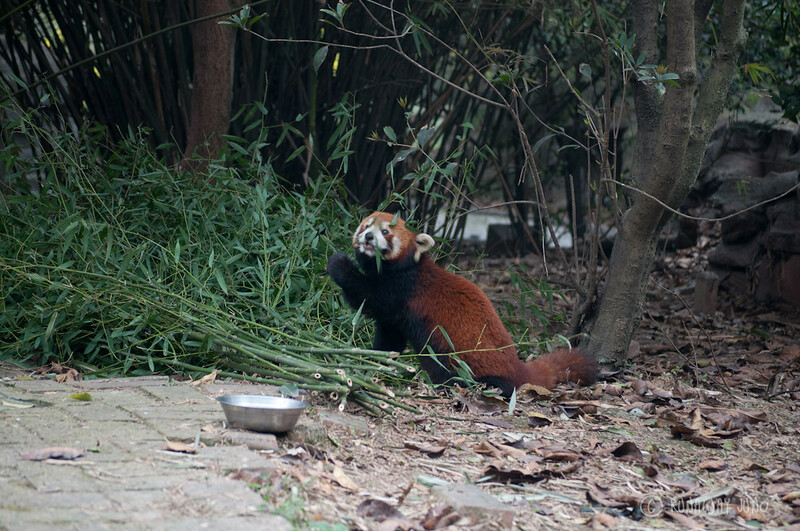 All day long, pretty much all they do is eating bamboo. 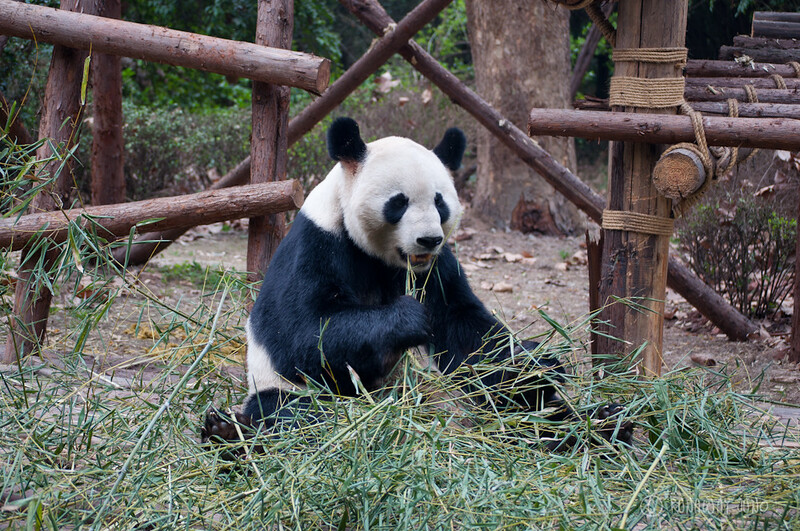 Pandas need to eat 16 hours a day since bamboo has such a low calories. So they sleep in-between meal times, and they eat some more. 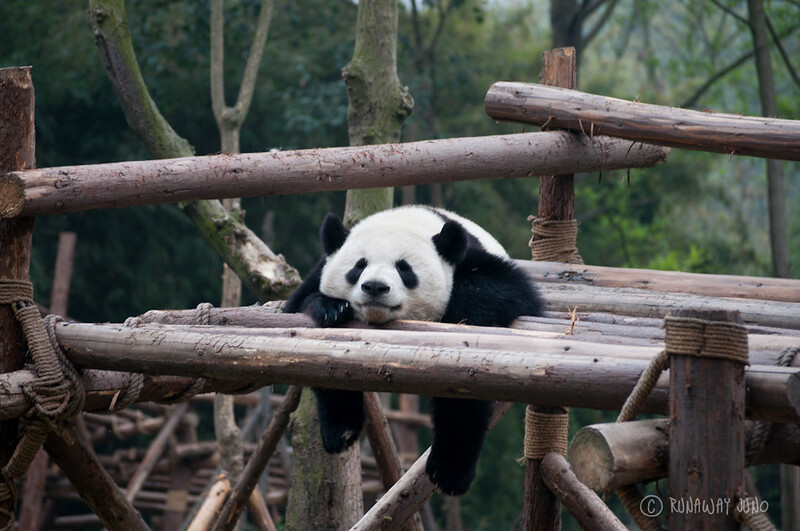 After spending most of the time in small villages in China, Chengdu is too big city for me to handle. 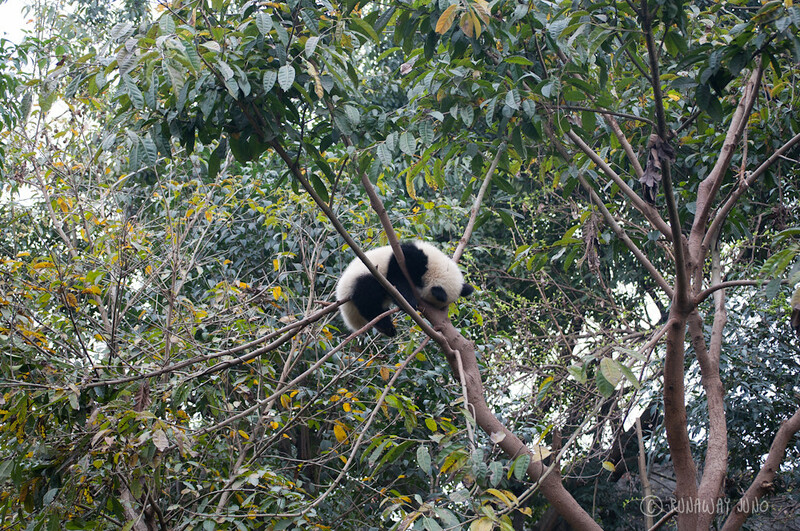 Though, I got through it because of one reason: to see panda bears. 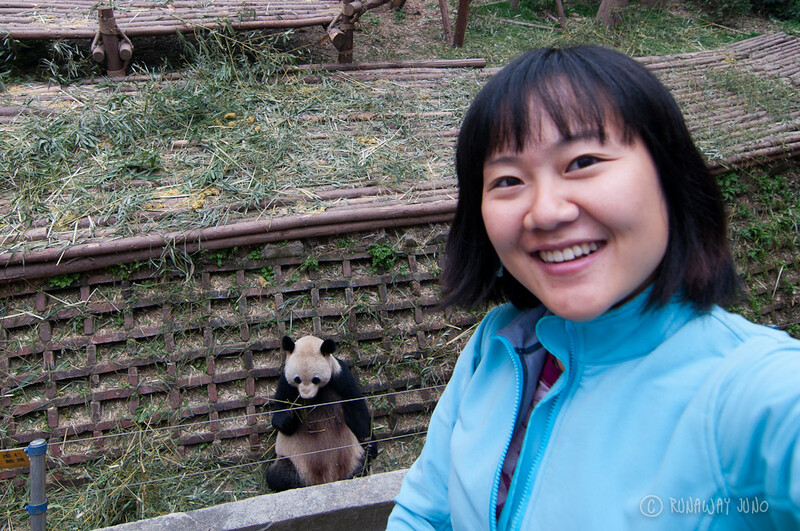 Finally, I met the panda bears in person. 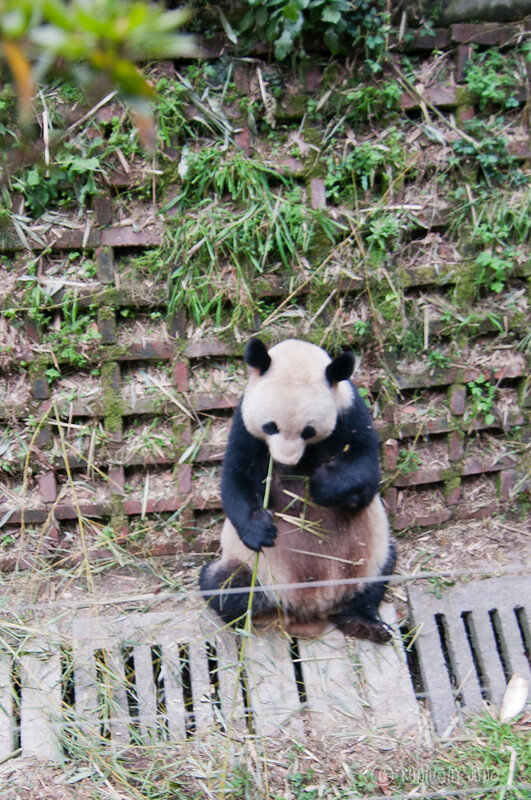 At Chengdu Research Base of Giant Panda Breeding. How did I feel when I first saw them? It was almost surreal. 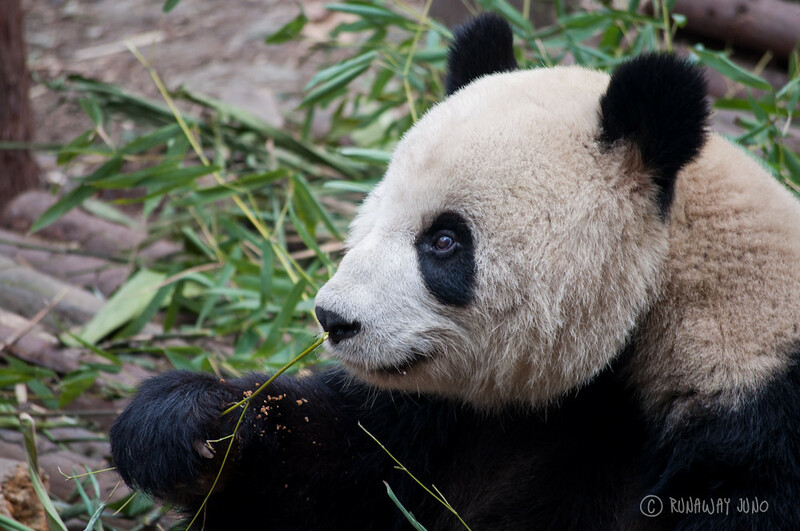 After watching them moving, I’ve realized that the animated movie Kungpu Panda described panda bear really well. And you know what? 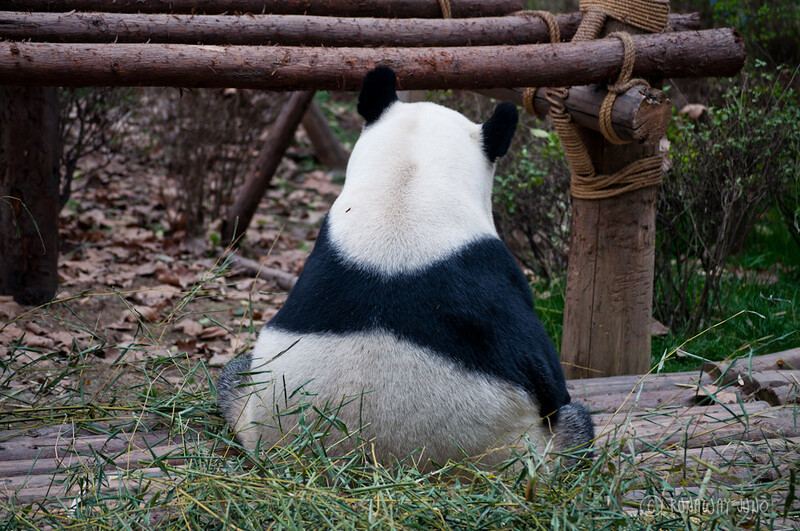 Even the panda bears’ back is cute. They move their paw like a cat, they sleep a lot and eat a lot. They were the most active around dinner time: after 6pm. The park officially closes at 6pm but I just couldn’t leave. 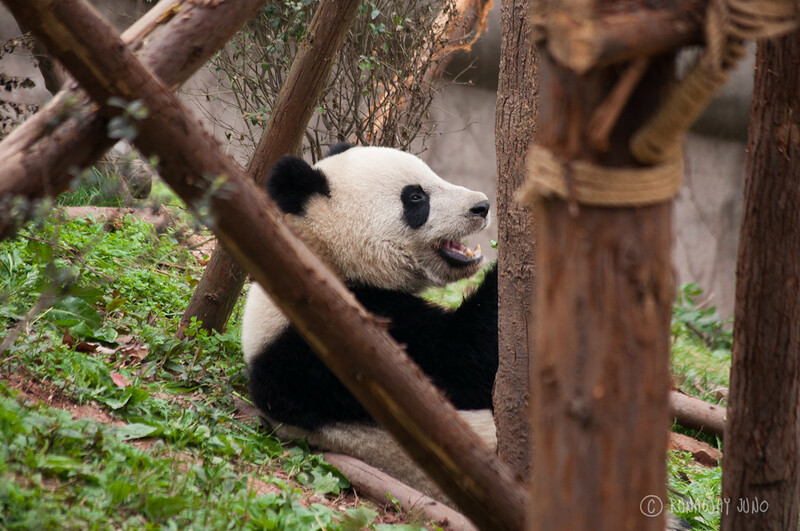 The panda bears were getting more and more active around the time. 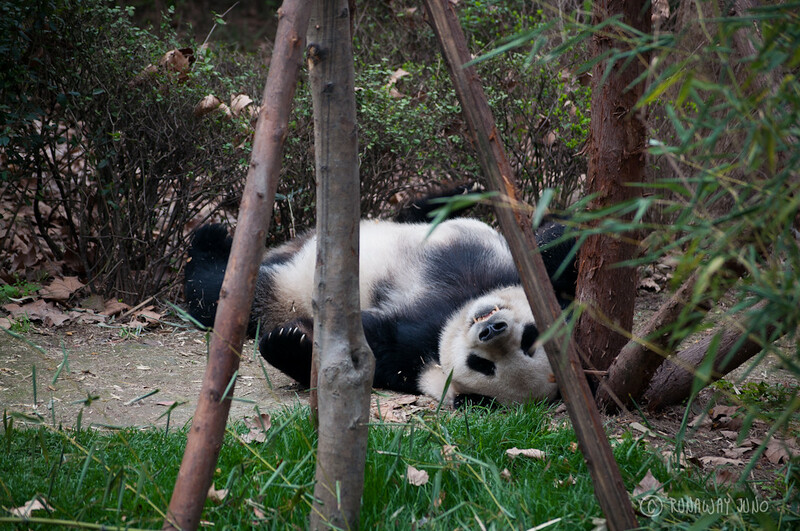 I saw some great panda bear movements right before I left. Anyhow, everything about them is just too darn adorable. So forgive to took so many photos and attach so many photos in the post. But I’m sure you’ll like all of those! Look at Their Cute Face! 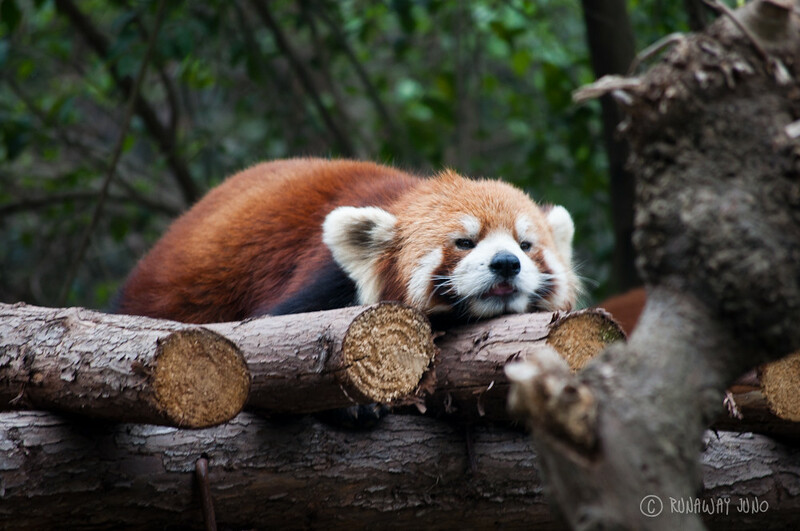 Red Panda just Woke Up! And I am impressed with your photos! Thanks Giulia! It was a great time. I just couldn’t leave the place… They are so cute. All I wanted to was just hug them. 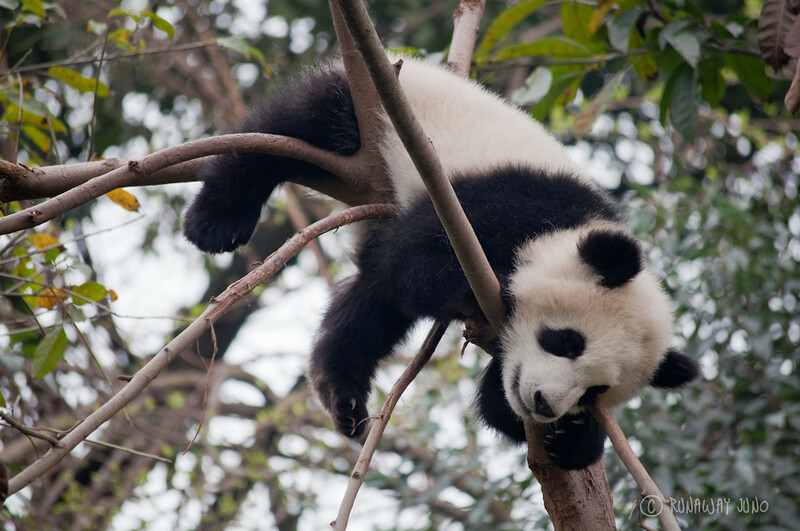 Baby pandas are just adorable…… Though nature is not to kind to them (since they are endanger) hope they will survive!! Really! Sometimes they just stop moving and looking at the people around them, it felt like they are communicating with us! 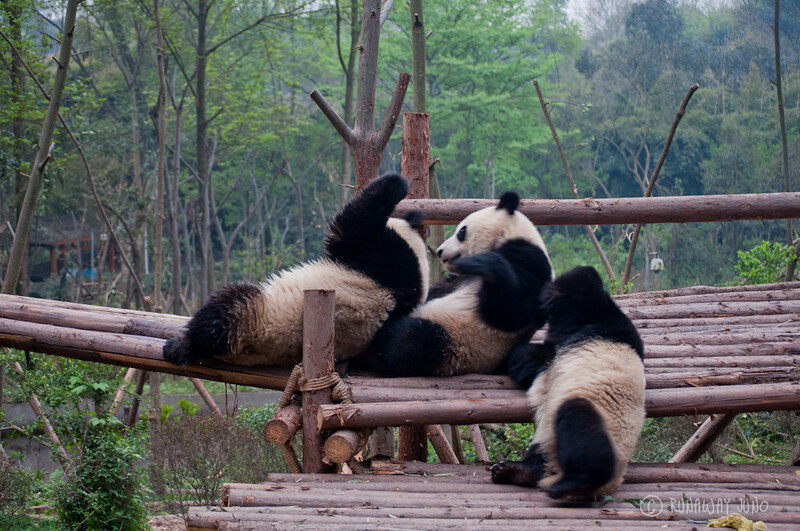 They are so cute I want to see a panda in person..I’ll visit these place if I have time and companion. Hope you do! They are really, the cutest. AWWWWWW!!! I don’t think I’ve Awwwed so much in one post! They’re adorable!! Glad to hear that! My eyes were *. * the whole time I was looking at the panda bears. I don’t blame you! 🙂 They are just too cute animal. 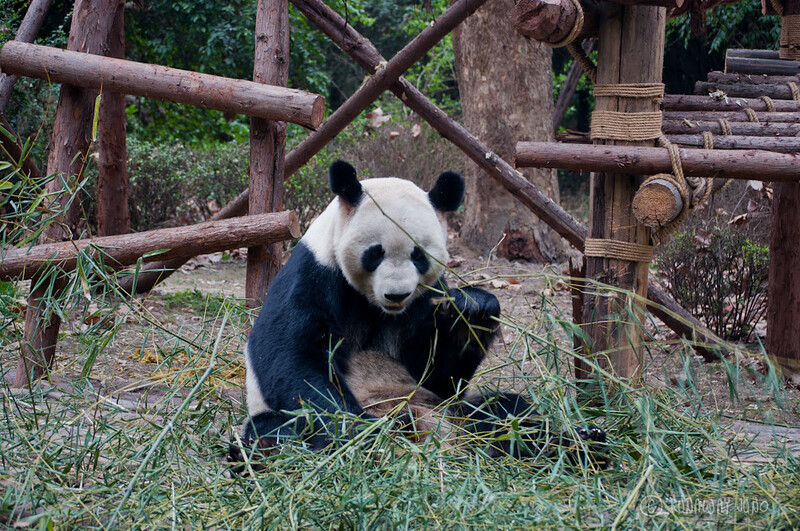 I can’t believe I was going to go to Chengdu next in China but got fed up and left before! I SO wish I’d gone to see them now. So cute! Awwwww.. Such a rare experience. I’m super jealous. I keep seeing Kungfu Panda in my head. Lol. They’re so playful looking. Super adorable post! So, so so cute! What a great visit! Thanks Tash! Yeah, I have to find the other pandas around the world now! I bought a stuffed toy too. 🙂 Really, Pandas totally made all the trouble in China worth it! cup panda? huh? cub? as in baby panda? or as it’s a panda who drinks from a cup? Cub as a youth, I believe. 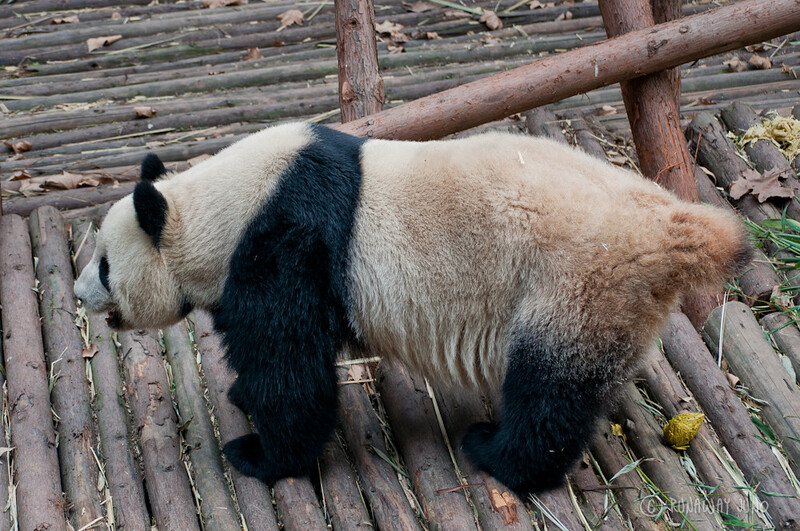 This is not a baby panda season. Thought kindergarten ones were pretty adorable! 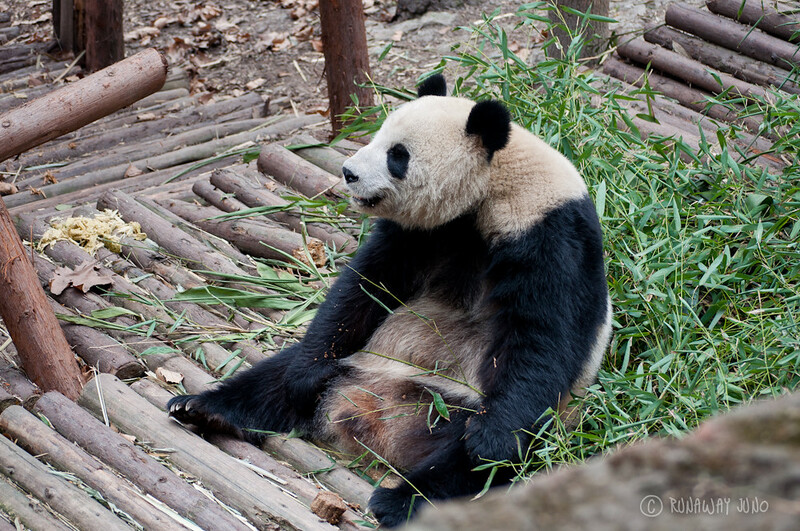 I got to see pandas in London many years ago. It was just two pandas in a caged area. Looks like seeing them in China is a much better experience. 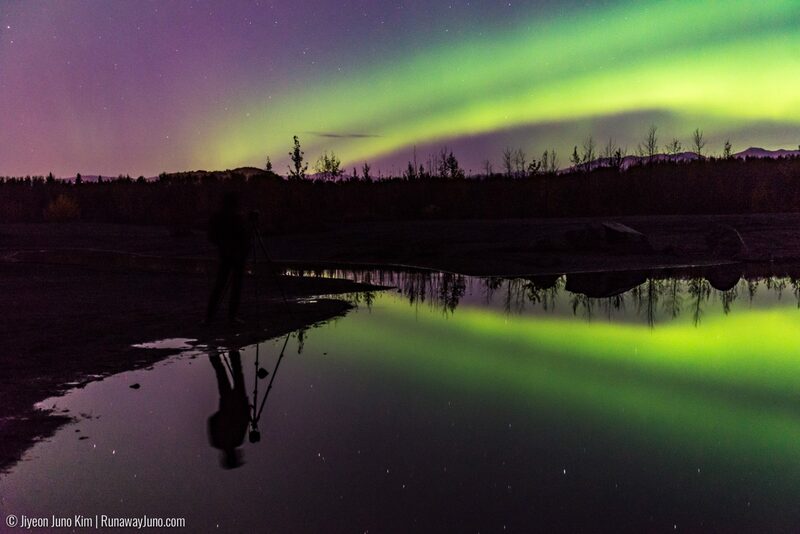 Thanks for sharing the great photos. Thanks Ross! It was great, and most of all they looked happy. Sometimes I don’t like Zoo because the animals don’t look happy. But I believe they are. It was a great experience. Sssoooo cutteee!! I’ve been there TWICE and both times loved it! I really wish it wasn’t so expensive to hold a panda. It was something like $100USD! 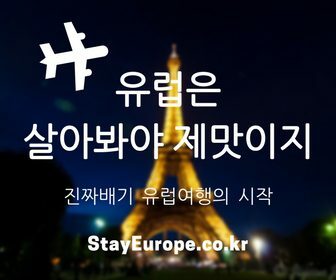 Ohhh… I’m so temping to go there again, but it’s too expensive. Yeah, holding a baby panda is 1000 CNY I believe. I’m sure they are adorable but too expensive! All I wanted to do was just hug them behind. So cute. 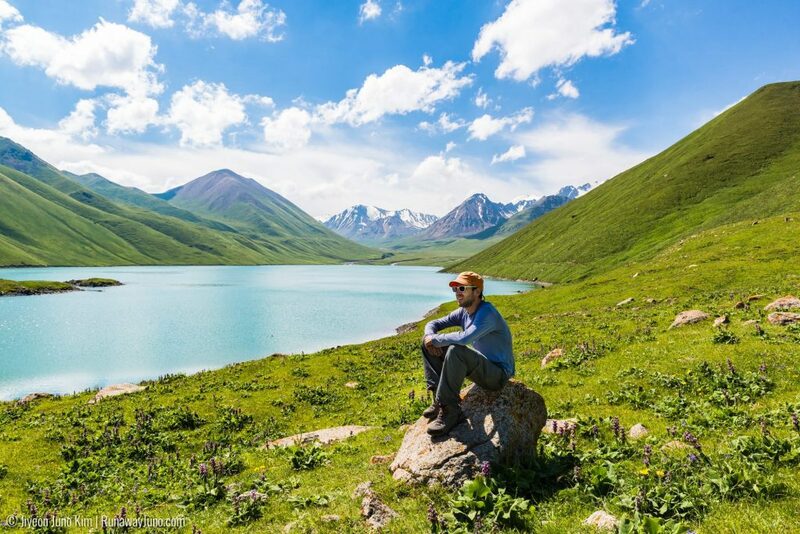 Wow, great photos! They’re so cute, like living teddy bears. They are so cute! 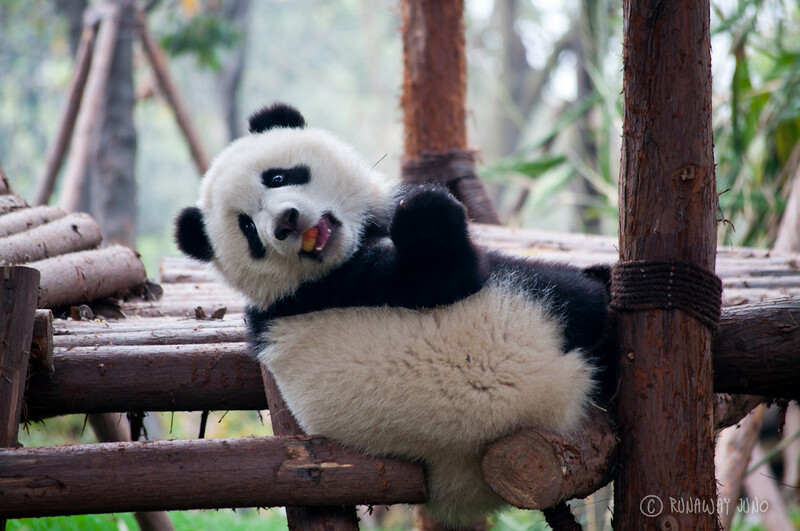 I can’t decide if Panda or Koala is cuter…. Ahhhhhhhhh so cute!!!!! I can barely handle all the adorableness! 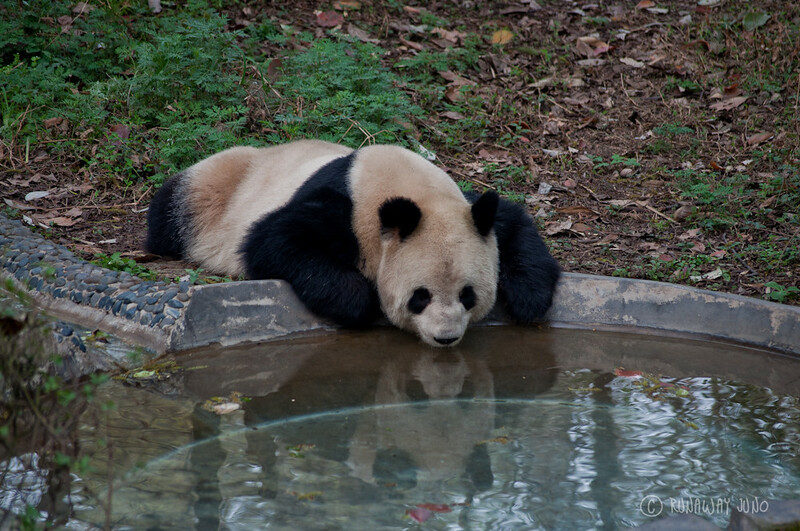 Gil Dong & I are considering going to China for about 9 days in late September / early October (around Chuseok) and Chengdu is number one on my list – solely for the pandas. 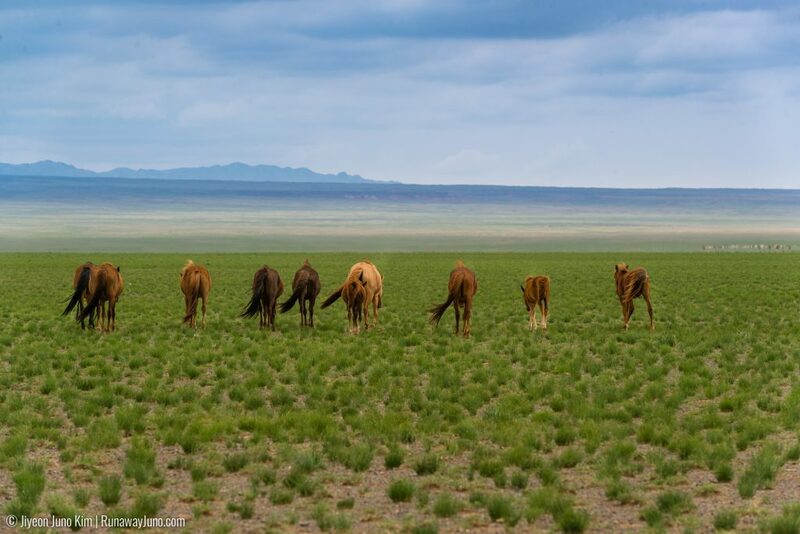 The photos are fantastic. I want to hug the screen! 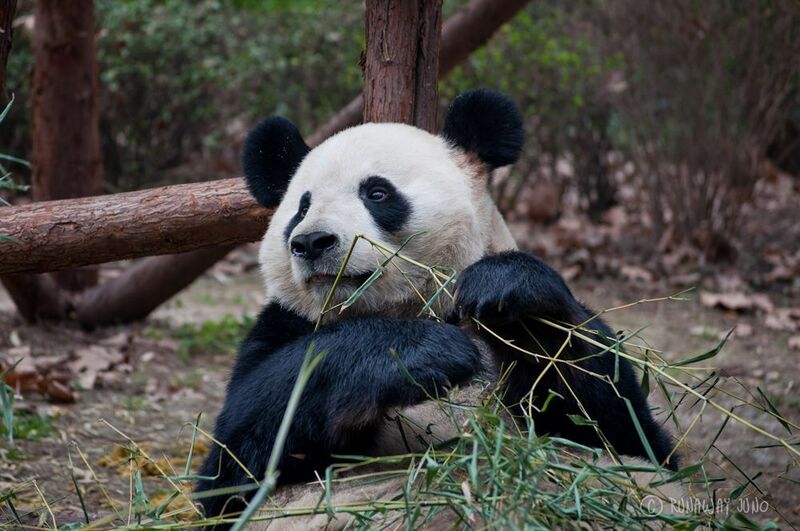 Hi Juno…I have never been to Chine and I have the opporunity, I will have to visit this Panda too and get a stuff toy as well as you did…Great photos! 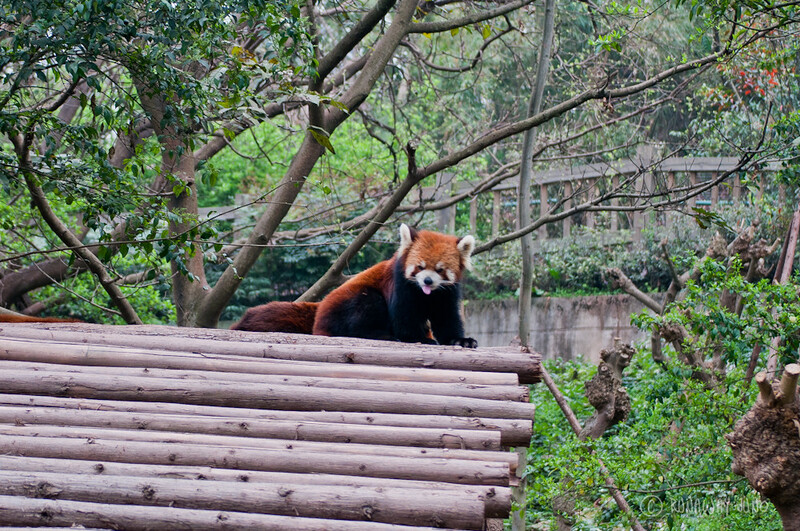 Ah, I had no idea that they had red pandas there – RED PANDAS!! On the unbearable cuteness level, they’re just below sloths 🙂 Looks like an amazing visit! Charming images. I love the kindergarten shot. 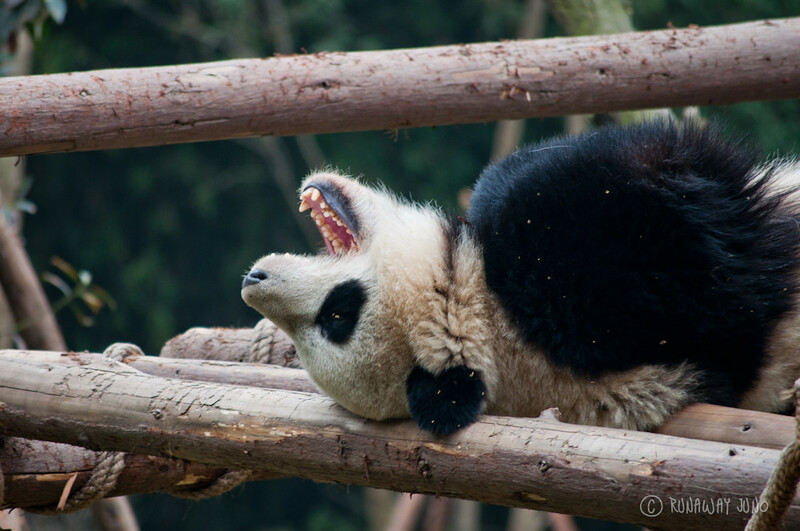 They should rename it Panda Zoo. When I went there I though they would be out in the wild and we would wonder around hoping to see one. 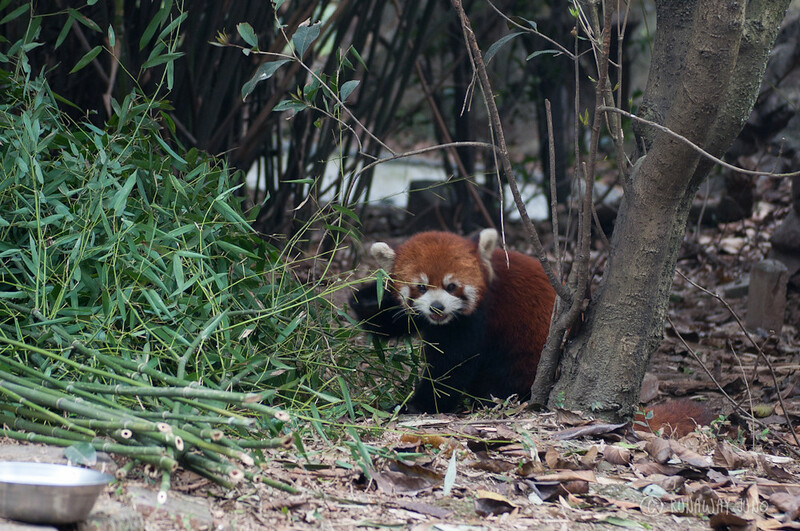 Much to my surprise, the zoo is in the middle of Chendu! I thought this is a strange place for a nature reserve. I had a hard time leaving, because I was waiting for the Pandas to do something lol. 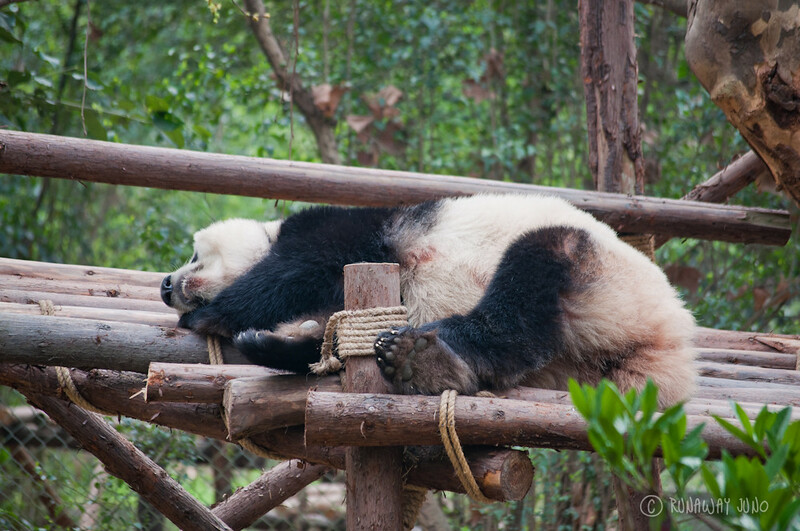 I thought Pandas being lazy was a myth. Great pictures they brought back memories of my amazing trip to China. Wow its so adorable. 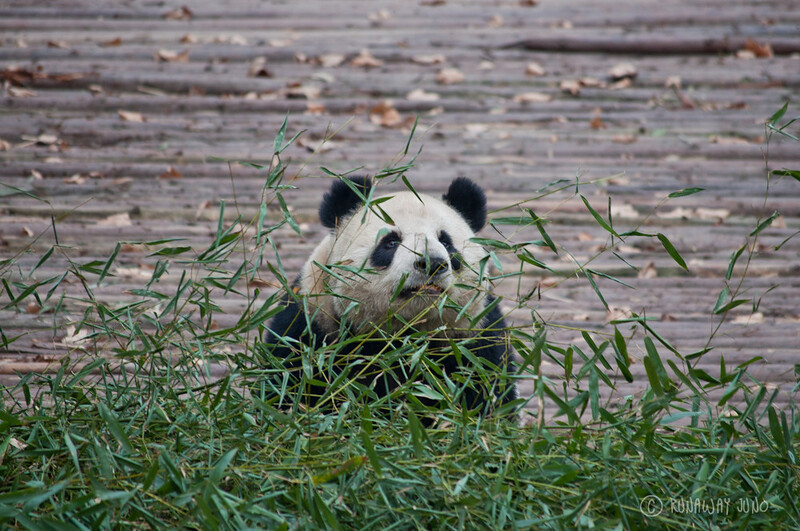 I never seen panda in a live. But its look so cute. I have one question to you Juno, They are human friendly?